Did negligent security contribute to the death of this mother of four? Read Our Legal Take to find out if her family may have a claim for compensation. 38-year-old Lacynda Diane Feimster was reportedly shot and killed during a robbery home invasion at her Crown Point Apartment Tuesday, May 24, 2016. According to The Salisbury Post, Ms. Feimster “was shot and killed inside her Crown Point Apartment, located off Gold Hill Road in the Morlan Park neighborhood,” shortly after 11:00pm. 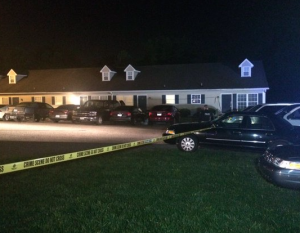 The fatal shooting occurred during the course of an apparent “home invasion and robbery,” WBTV reports. “This is a mother and a sister and a daughter that many people, friends and family loved very much that was taken from us for no reason…a selfish, senseless crime that could have easily been prevented,” a friend of the victim told media. Have there been prior incidents of violence on or near property? If so, were any additional security precautions implemented by the property owner to deter crime? Generally, property owners are required to protect all residents legally on the premises from any foreseeable harm. Should the facts of this matter reveal that the apartment complex owner or management company failed to provide adequate security to protect those on its premises, the family of Lacynda Feimster may seek justice and elect to pursue a legal claim for her wrongful death.